Sarasota Landscaping Services is a family owned-business specializing in full service lawn care and landscaping for over 15 years in Sarasota, FL. Our team provides both residential lawn maintenance and commercial grounds maintenance, along with sod installation, soil, landscape lighting, aeration systems, composting and much more. We know that competition is tough in our community. There are lot of great options to choose from, and while we might be bias, we see ourselves as the company who can meet the needs of all homeowners and business owners despite everyone’s varying differences. Why do we believe us to be the best? Well, that’s simple. We listen to our customers. We listen, and we try to create exactly what they have envisioned in their minds. For us, successful landscaping equals a happy customer. As the saying goes, “beauty lies in the eye of the beholder.” While one person’s landscape might look like an unorganized mess, the owner of that might see it as a masterpiece. As professionals, we don’t believe it’s our place to judge what’s right or what’s wrong in terms of landscape design. That being said, we will work with you to create magic. From lighting, to hardscaping with rocks, stones or gravel, to even adding a small fountain—the possibilities are endless. 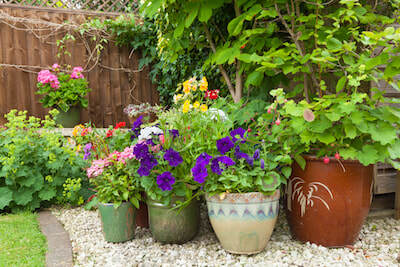 Of course, we’ll also make sure that you incorporate some plant life and color in the final product. Once complete, our favorite part of our job is to see our customer’s final reactions to their brand new vision become reality. Aside from landscaping, our other specialty is focused on lawn care. Let’s face it, the majority of people will agree that mowing the grass and trimming the hedges is not their idea of a fun Sunday afternoon. Instead of taking up your precious time for relaxation (and Sunday football), allow us to maintain your yard for you. We won’t just serve residential lawns, but we also work on large commercial properties such as hospitals, schools, golf courses, wineries, restaurants, and many more. We’re happy to work with small businesses and large corporations—we don’t discriminate. Our staff can set up a schedule for grass mowing and hedge trimming that meets your needs and budget. If you want your lawn mowed once a week, we can accommodate. If you’re more interested in having it cared for every two weeks or once a month, we’re also happy to oblige. In the end, our goal is to make the customer happy. To do that, our team believes in doing whatever it takes. Landscaping is not something to try on your own—to really be successfully, it’s nice to have a flow of collaboration and teamwork. We want to be your landscaping partner to ensure you happiness and success with your outdoor spaces. From your front yard to your backyard, all the way to your flower beds and your hardscaping, we’ll be there with you every step of the way to make your property the best it can be. For more information, contact our team today.